Why is the UN convening a counter-terrorism conference? The Secretary-General is convening the first-ever UN High-level Conference on Counter-Terrorism to improve international cooperation and information sharing, and build new partnerships that can find practical solutions to the threat of terrorism. Who is attending the High-level Conference on Counter-Terrorism? Senior representatives from counter-terrorism, law enforcement, diplomatic, security and intelligence agencies from 149 Member States, 30 international and regional organizations, 61 civil society organizations, and 31 UN entities will attend. What is the role of the UN in counter-terrorism? Terrorism is one of the most profound challenges of our time. No country is immune from this threat, and no country can address this challenge alone. Member States have the primary responsibility to address terrorism and violent extremism in compliance with international law and their human rights obligations. Based on their request, the UN provides technical assistance, including on Aviation Security; Border Security Management; Countering the Financing of Terrorism; Preventing Violent Extremism; CT, PVE and Women; Foreign Terrorist Fighters; Human Rights; International Support for Victims; and Justice and the Prevention of Radicalization in Prisons. 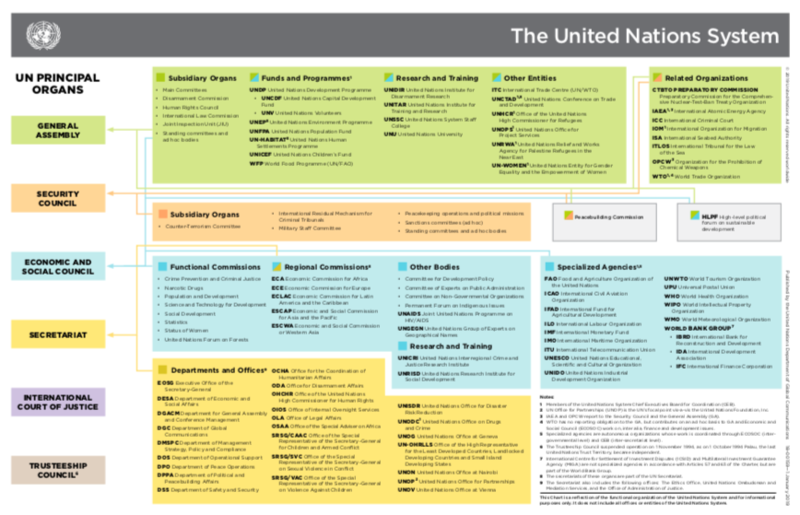 How does the United Nations coordinate its work on counter-terrorism? The Secretary-General has made countering terrorism one of his top priorities. In February, he signed a Global Counter-Terrorism Coordination Compact between himself and the heads of the UN entities, as well as INTERPOL and the World Customs Organization. The aim is to foster a common approach to counter terrorism, implementing mutually reinforcing counter-terrorism capacity-building projects and establishing a joint resource mobilization and outreach strategy with donors. The entities are coordinated in 12 thematic working groups. The Secretary-General also established a new UN Office of Counter-Terrorism to provide leadership and enhance coordination to support the efforts of Member States. Why are so many events taking place this week on counter-terrorism? Twenty-five side events to the High-level Conference on Counter-Terrorism are being organized this week to allow in-depth discussion among Member States, UN entities and civil society organizations on topics, such as countering the financing of terrorism, lawful access to digital data, countering and preventing violent extremism through communications, human rights-compliant responses to the threat posed by foreign fighters, among others. For more information, visit: www.un.org/en/counterterrorism/hlc or follow on social media: #UNitetoCounterTerrorism.